Life After the MATCH List: Can Merchants Survive? If you’re reading this, then it’s highly probable you’ve found yourself on the MATCH list. You may be wondering what this list is and what the ramifications are for being added to it. Most importantly, you’re probably hoping to discover a way to survive despite this disappointing development. Quite simply, the MATCH (Member Alert to Control High Risk Merchants) list was created by Mastercard as a means of compiling information on businesses and their owners when their merchant accounts have been terminated. The list is used by acquiring banks to help screen applicants and determine if businesses should be given credit card processing privileges. Merchants who have been added to the MATCH list are perceived as risky business ventures and are likely to encounter difficulties when applying for a new merchant account. See how preventing chargebacks can help prevent your business from being MATCHed. Terminated Merchant File (TMF) was a designation which predated the MATCH list, and was used to track blacklisted companies. This product was replaced with the more comprehensive MATCH. There are a number of conditions which can get a merchant MATCHed. The most common cause of a merchant landing on the MATCH list is excessive chargebacks. Merchants that exceed the acceptable chargeback thresholds will most likely see their businesses MATCHed. This means they will end up with a frozen merchant account and, eventually, a canceled merchant agreement. Other conditions and practices which can penalize a merchant are categorized with a specific MATCH list reason code for each offense. There are 13 reasons why your business could be MATCHed. Make sure you understand the risks. According to Mastercard's Security Rules and Procedures, if the acquirer has reason to believe one of the previously mentioned conditions has transpired, then the acquirer can add the merchant to the MATCH list. However, the list is essentially subject to acquirer discretion and is almost wholly without checks and balances. How Do Merchants Get Off The List? Acquirers who are searching the MATCH list can access information that is reported and stored during the previous five years. Any merchant added during that time will generate a MATCH result. After five years, the merchant’s data will be removed from the MATCH list, assuming no additional MATCH entries were made during that time frame. The acquirer contacts Mastercard on the merchant’s behalf and reports the original addition was made in error. 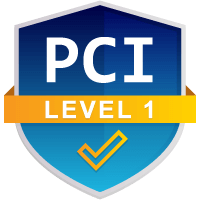 The merchant was added using MATCH list reason code 12 (PCI-DSS Noncompliance) but has since become compliant. During those five years, merchants aren’t necessarily forbidden from processing credit card transactions. The business will simply need to obtain a processing agreement with an acquirer that is willing to accept the risk (an offshore payment processor or a domestic high-risk account provider). Chargebacks911® can help merchants manage their new high-risk status, insulating merchants against both international and domestic chargebacks. We’ll take a look at the current situation and offer suggestions on how to proceed. Life on the MATCH list isn’t easy; it’s best to do all you can to avoid placement. Getting placed on the MATCH list is certainly a challenge and a profit-hindrance. Given the fact that a vast majority of potential customers do their shopping via credit card, being able to process their transactions is key to business success. In many cases, the greatest healer is time. Merchants must minimize risk to the best of their abilities and optimize profitability to compensate for higher processing fees. 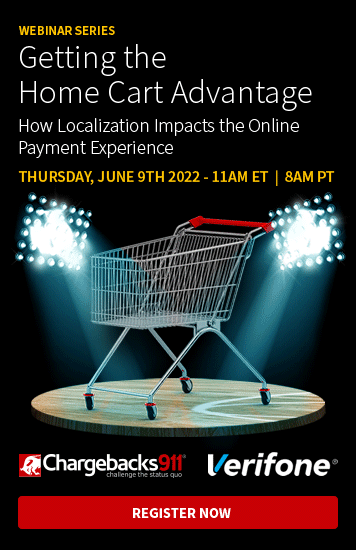 If you fear MATCH placement (it hasn’t happened yet, but it could), it is important to focus on chargeback prevention and strategic representment. It is imperative to keep chargeback issuances low and ensure the business doesn’t breach the networks’ chargeback thresholds. These tools will help. Intelligent Source Detection™ is an innovative product created by Chargebacks911, a one-of-a-kind solution that is actually capable of determining the real reason for a chargeback. With the invention of the internet came a new eCommerce threat—friendly fraud. Consumers have learned how to exploit the chargeback process and acquire illegitimate refunds. Unfortunately, this practice has made reason code intelligence ineffective. Cardholders can file a friendly fraud chargeback using virtually any reason code. Unless merchants are able to determine the true reason for their chargebacks, they’ll forever be implementing inefficient solutions. That’s why Intelligent Source Detection is such a valuable tool. For the first time ever, merchants can definitively pinpoint chargeback triggers and create effective management strategies. A significant portion of chargebacks are caused by the merchant’s own errors and oversights (our proprietary research indicates as many as 40%). Fortunately, these errors—and the resulting chargebacks—are entirely preventable. 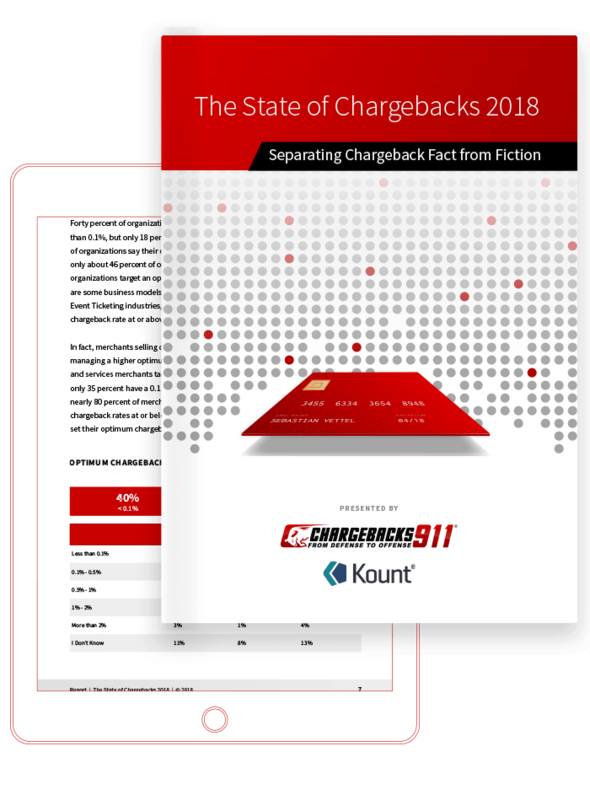 Chargebacks911’s Merchant Compliance Review conducts a 106-point inspection of all merchant policies and procedures, isolating errors that could potentially lead to chargebacks. We help merchants rectify these errors and implement appropriate policies to reduce the risk of chargebacks. In some cases, there is little time for effective chargeback accounting. Merchants hoping to quickly and efficiently lower their chargeback-to-transaction ratio due to the imminent threat of being MATCHed should consider signing up for chargeback alerts. Chargeback alerts are issued when a consumer has disputed a transaction based on criminal activity. Merchants are given the chance to refund these unauthorized transactions, thereby avoiding a chargeback. Chargebacks911 has created the broadest alerts coverage by combining our own proprietary network with those of third-party providers. As one of the primary causes of MATCH list placement, chargebacks can be an expensive problem for merchants to deal with. Not only do they result in revenue loss, chargebacks can hinder a company’s ability to process credit card transactions and ultimately jeopardize longevity. If chargebacks are becoming a serious problem and MATCH list placement seems inevitable, contact Chargebacks911 right away. We won’t let this temporary roadblock deter you from the success you deserve!